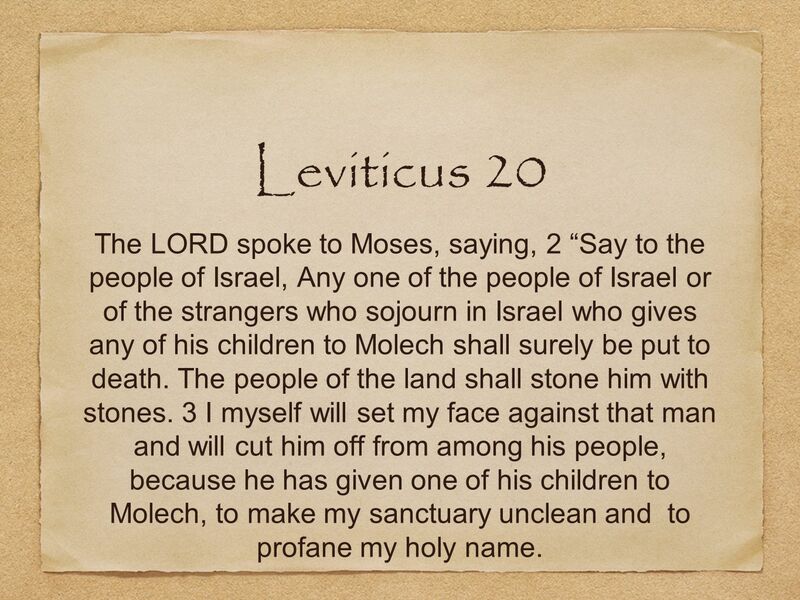 3 Leviticus 20 The LORD spoke to Moses, saying, 2 Say to the people of Israel, Any one of the people of Israel or of the strangers who sojourn in Israel who gives any of his children to Molech shall surely be put to death. The people of the land shall stone him with stones. 3 I myself will set my face against that man and will cut him off from among his people, because he has given one of his children to Molech, to make my sanctuary unclean and to profane my holy name. 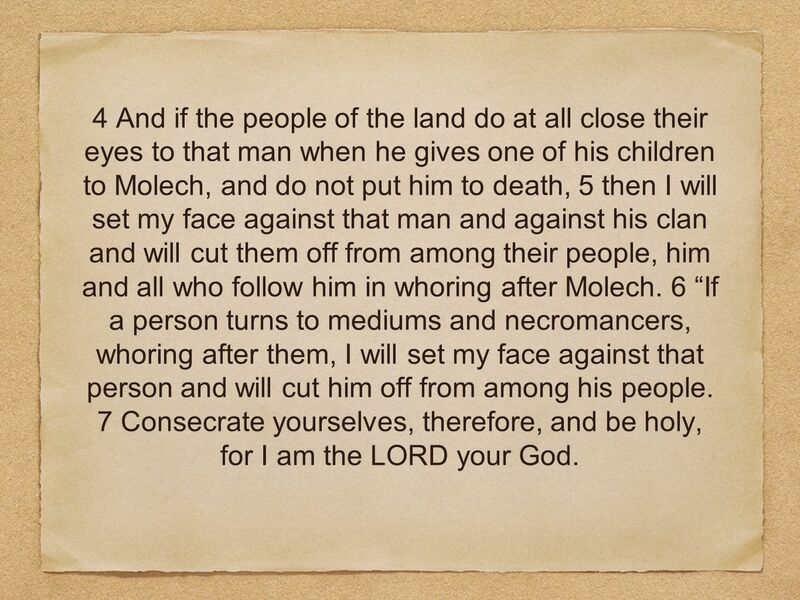 4 4 And if the people of the land do at all close their eyes to that man when he gives one of his children to Molech, and do not put him to death, 5 then I will set my face against that man and against his clan and will cut them off from among their people, him and all who follow him in whoring after Molech. 6 If a person turns to mediums and necromancers, whoring after them, I will set my face against that person and will cut him off from among his people. 7 Consecrate yourselves, therefore, and be holy, for I am the LORD your God. 5 8 Keep my statutes and do them; I am the LORD who sanctifies you. 9 For anyone who curses his father or his mother shall surely be put to death; he has cursed his father or his mother; his blood is upon him. 10If a man commits adultery with the wife of his neighbor, both the adulterer and the adulteress shall surely be put to death. 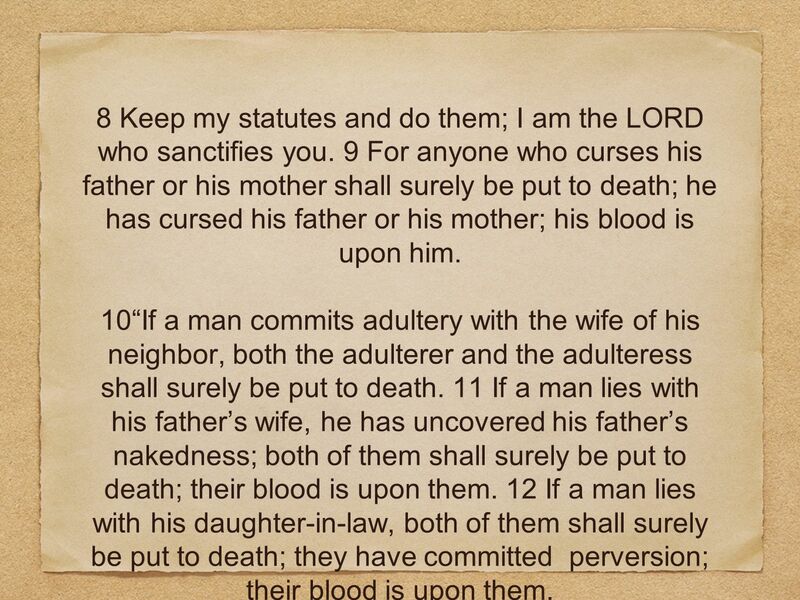 11 If a man lies with his fathers wife, he has uncovered his fathers nakedness; both of them shall surely be put to death; their blood is upon them. 12 If a man lies with his daughter-in-law, both of them shall surely be put to death; they have committed perversion; their blood is upon them. 6 13 If a man lies with a male as with a woman, both of them have committed an abomination; they shall surely be put to death; their blood is upon them. 14 If a man takes a woman and her mother also, it is depravity; he and they shall be burned with fire, that there may be no depravity among you. 15 If a man lies with an animal, he shall surely be put to death, and you shall kill the animal. 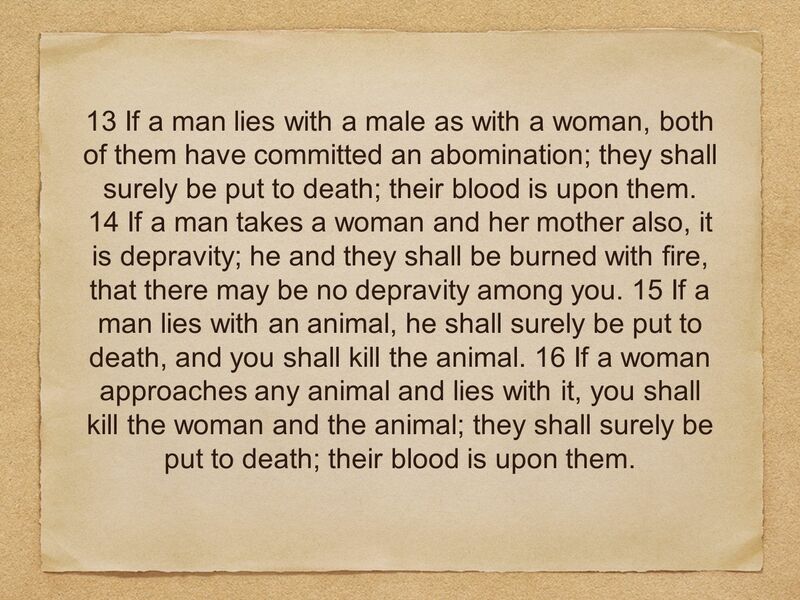 16 If a woman approaches any animal and lies with it, you shall kill the woman and the animal; they shall surely be put to death; their blood is upon them. 7 17 If a man takes his sister, a daughter of his father or a daughter of his mother, and sees her nakedness, and she sees his nakedness, it is a disgrace, and they shall be cut off in the sight of the children of their people. He has uncovered his sisters nakedness, and he shall bear his iniquity. 18 If a man lies with a woman during her menstrual period and uncovers her nakedness, he has made naked her fountain, and she has uncovered the fountain of her blood. Both of them shall be cut off from among their people. 19 You shall not uncover the nakedness of your mothers sister or of your fathers sister, for that is to make naked ones relative; they shall bear their iniquity. 8 20 If a man lies with his uncles wife, he has uncovered his uncles nakedness; they shall bear their sin; they shall die childless. 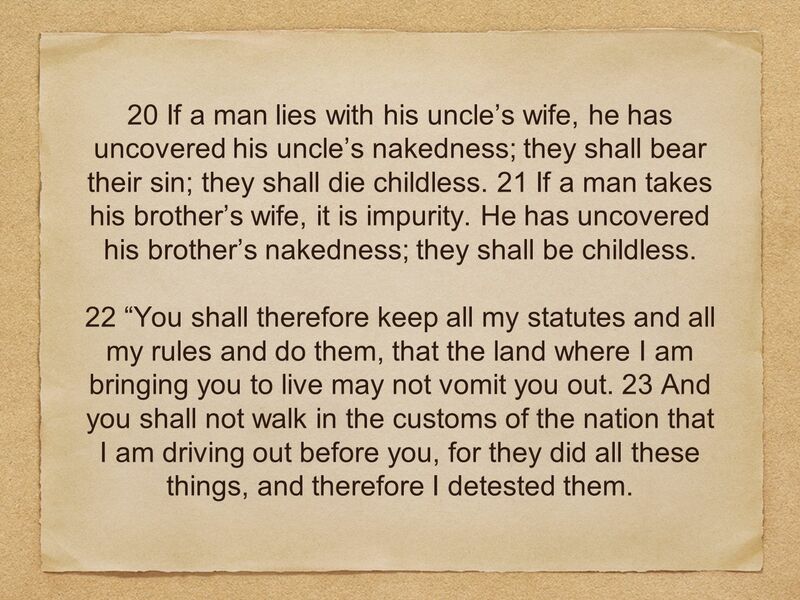 21 If a man takes his brothers wife, it is impurity. He has uncovered his brothers nakedness; they shall be childless. 22 You shall therefore keep all my statutes and all my rules and do them, that the land where I am bringing you to live may not vomit you out. 23 And you shall not walk in the customs of the nation that I am driving out before you, for they did all these things, and therefore I detested them. 9 24 But I have said to you, You shall inherit their land, and I will give it to you to possess, a land flowing with milk and honey. I am the LORD your God, who has separated you from the peoples. 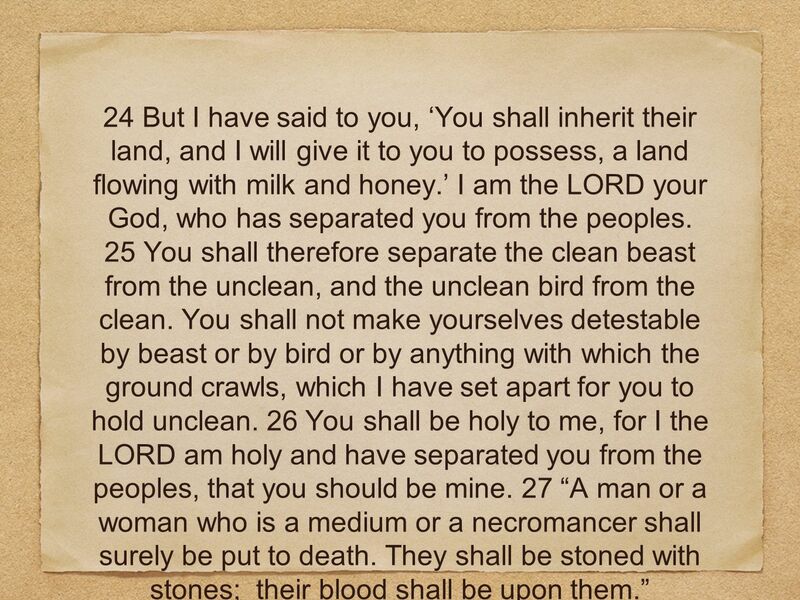 25 You shall therefore separate the clean beast from the unclean, and the unclean bird from the clean. You shall not make yourselves detestable by beast or by bird or by anything with which the ground crawls, which I have set apart for you to hold unclean. 26 You shall be holy to me, for I the LORD am holy and have separated you from the peoples, that you should be mine. 27 A man or a woman who is a medium or a necromancer shall surely be put to death. They shall be stoned with stones; their blood shall be upon them. 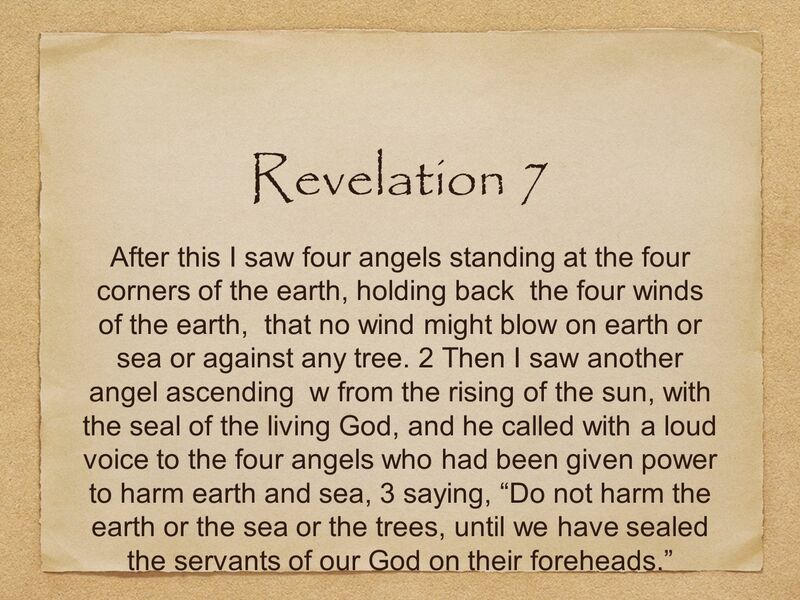 10 Revelation 7 After this I saw four angels standing at the four corners of the earth, holding back the four winds of the earth, that no wind might blow on earth or sea or against any tree. 2 Then I saw another angel ascending w from the rising of the sun, with the seal of the living God, and he called with a loud voice to the four angels who had been given power to harm earth and sea, 3 saying, Do not harm the earth or the sea or the trees, until we have sealed the servants of our God on their foreheads. 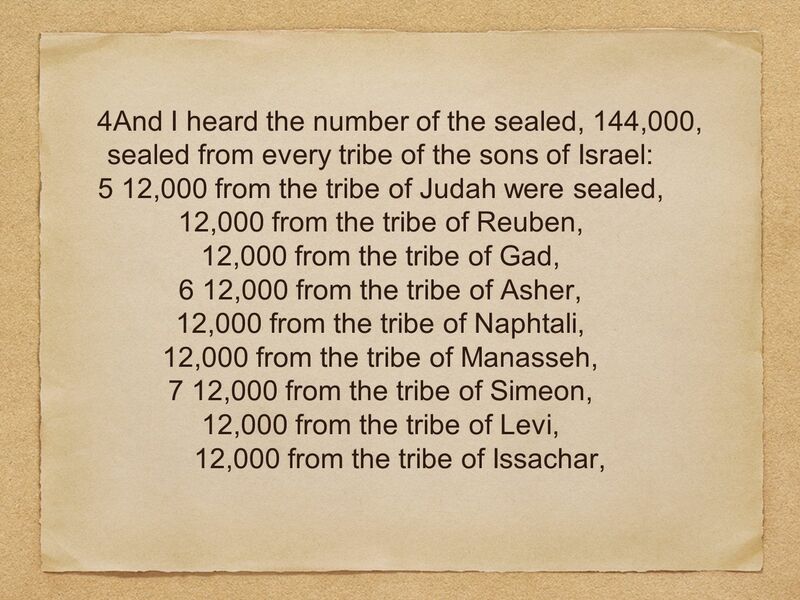 12 8 12,000 from the tribe of Zebulun, 12,000 from the tribe of Joseph, 12,000 from the tribe of Benjamin were sealed. 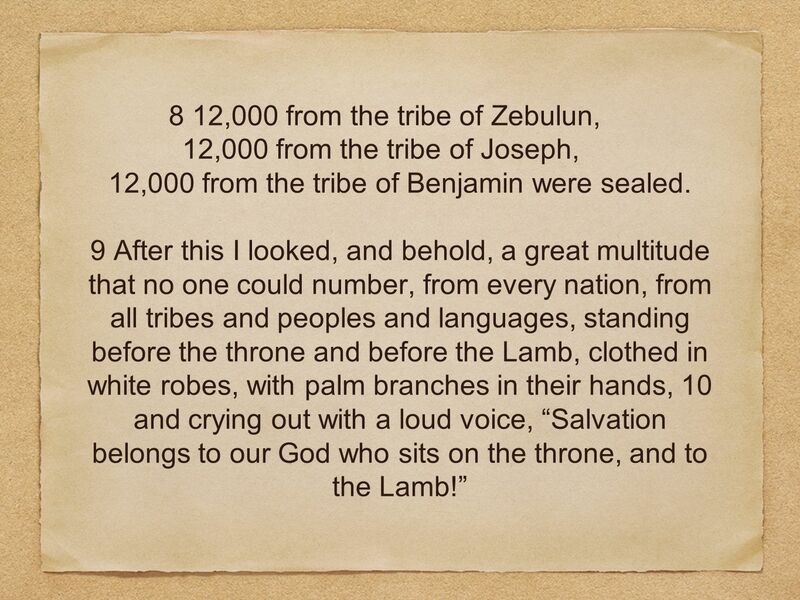 9 After this I looked, and behold, a great multitude that no one could number, from every nation, from all tribes and peoples and languages, standing before the throne and before the Lamb, clothed in white robes, with palm branches in their hands, 10 and crying out with a loud voice, Salvation belongs to our God who sits on the throne, and to the Lamb! 13 11 And all the angels were standing around the throne and around the elders and the four living creatures, and they fell on their faces before the throne and worshiped God, 12 saying, Amen! 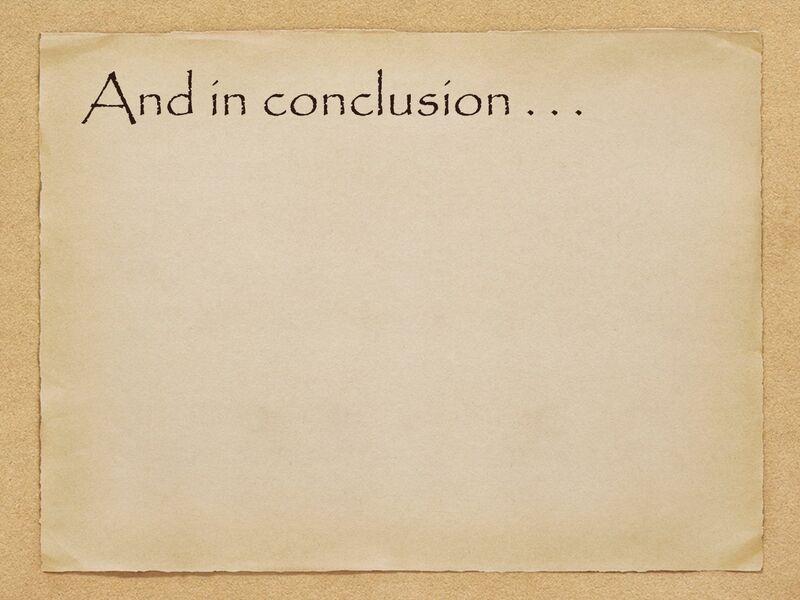 Blessing and glory and wisdom and thanksgiving and honor and power and might be to our God forever and ever! Amen. 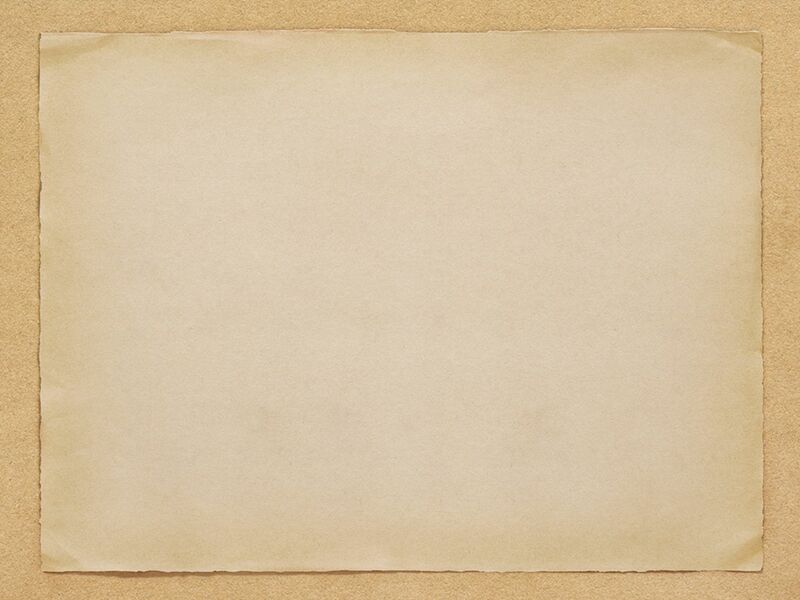 13 Then one of the elders addressed me, saying, Who are these, clothed in white robes, and from where have they come? 14 I said to him, Sir, you know. And he said to me, These are the ones coming out of the great tribulation. 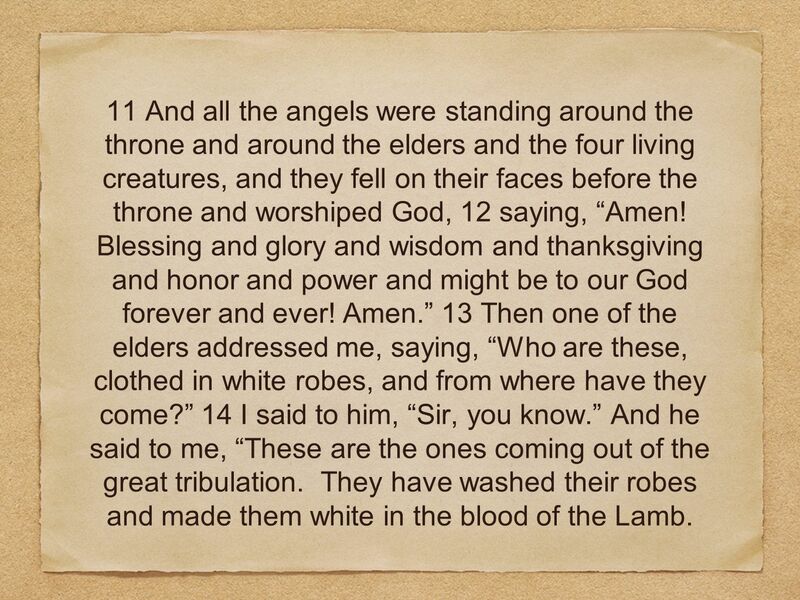 They have washed their robes and made them white in the blood of the Lamb. 14 15 Therefore they are before the throne of God, and serve him day and night in his temple; and he who sits on the throne will shelter them with his presence. 16 They shall hunger no more, neither thirst anymore; the sun shall not strike them, nor any scorching heat. 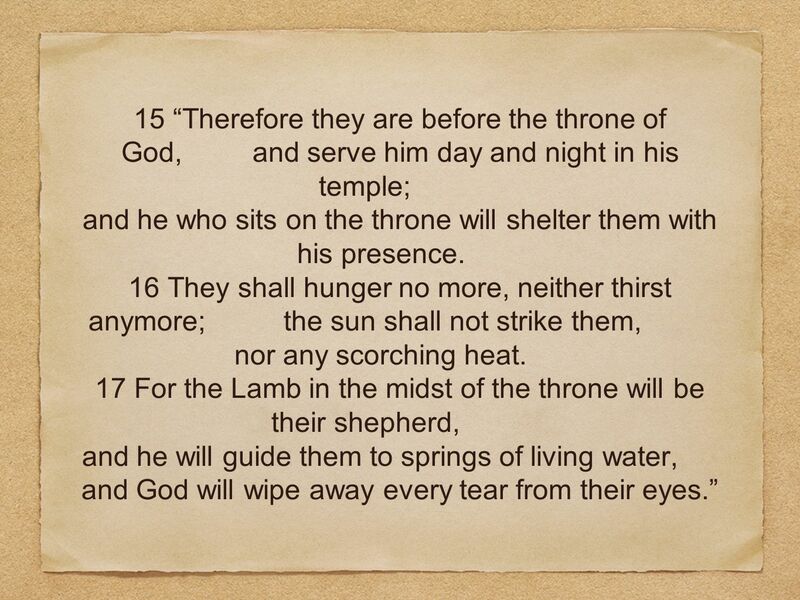 17 For the Lamb in the midst of the throne will be their shepherd, and he will guide them to springs of living water, and God will wipe away every tear from their eyes. 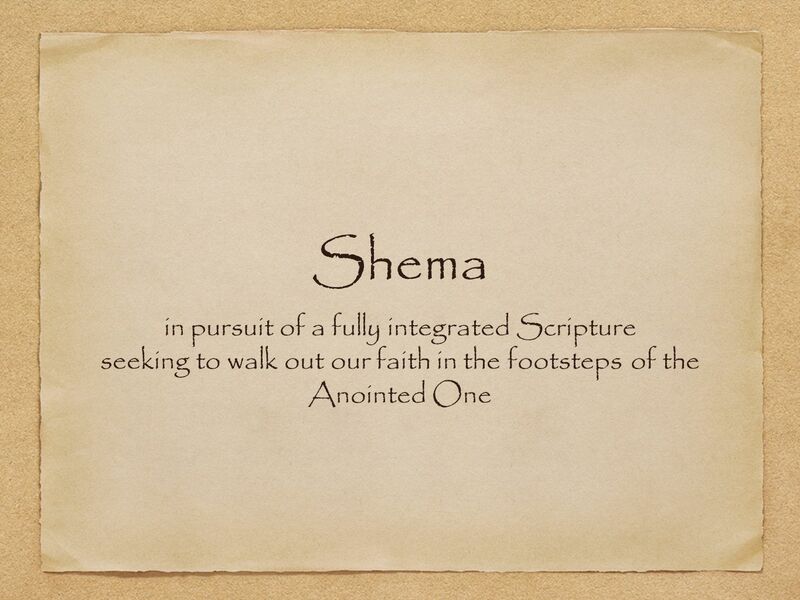 Download ppt "Shema in pursuit of a fully integrated Scripture seeking to walk out our faith in the footsteps of the Anointed One." Becoming Closer Revelation 19 I am returning. Becoming Closer Four-fold Hallelujah (Rev 19:1-6 NIV) After this I heard what sounded like the roar of a. What was the first 'offering' discussed in the book of Leviticus? The burnt offering The Guilt Offering The sin offering The Grain offering 1. Luke 16:19-31 and in Hades, being in torment, he lifted up his eyes and saw Abraham far off and Lazarus at his side. (Luke 16:23 ESV) Rich man saw two. An Introduction What about the Temple? 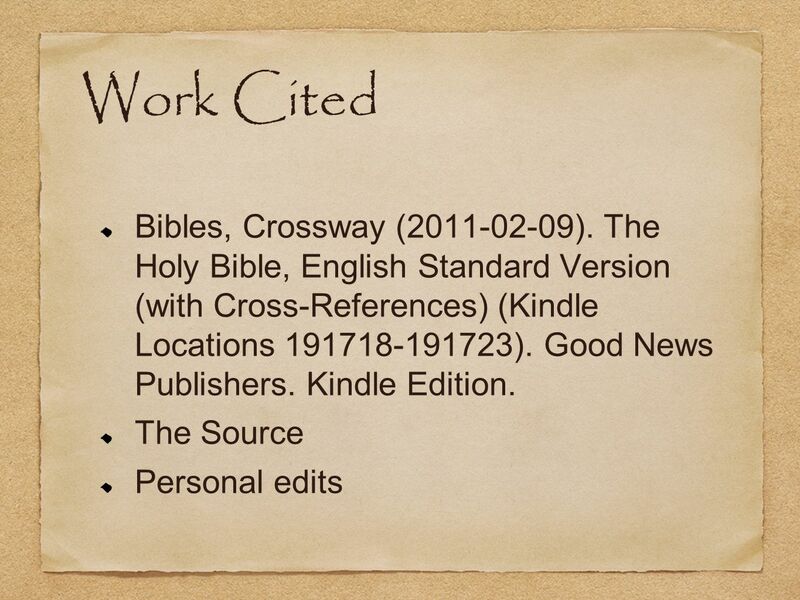 Rob Dalrymple PhD. Apokaluyij Iwannou The Revelation to John Session 12. Becoming Closer New Heaven, New Earth Revelation 21, 22. Here Comes the Bride Revelation 21.1-22.5.